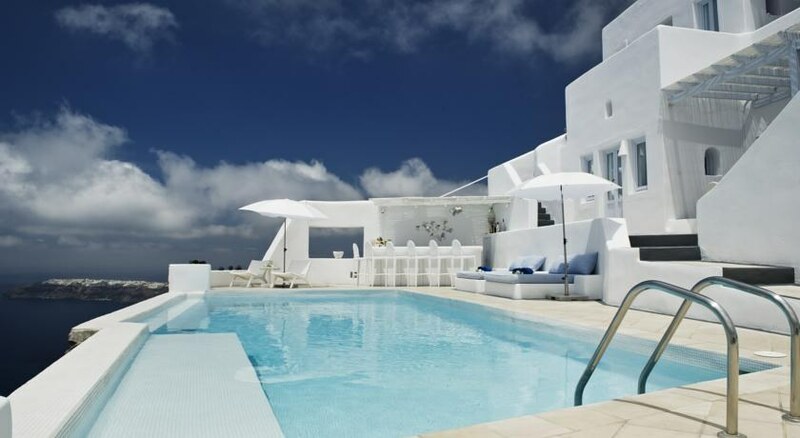 If you’re thinking about an award winning five-star hotel in Santorini, Greece, perhaps you must check out Astra Suites Hotel. The views from the hotel are definitely non-negotiable, so are the suites. 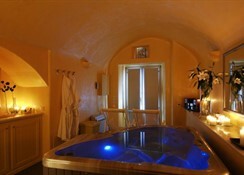 But, above all, the impeccable hospitality and notable services it offers can make your trip a memorable one. Accommodations in Astra Suites are divided into Studio, Junior Suite, Senior Suite, Family Suite, Superior Suite, Honeymoon Jacuzzi Suite, Pool Suite and The Architect’s House. These modern plush rooms are furnished with air conditioning/ heating system, fully-functional kitchenette, telephone, inbuilt safe box, en suite bathroom, shower, bathtub, bath amenities, hairdryer, TV with satellite, CD/DVD player, mini bar — housekeeping is provided daily. 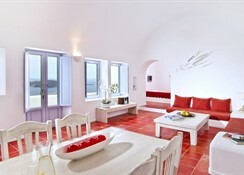 Each room has luxurious bed and private balcony that overlooks the Aegean Sea. Located on the terraces, Astra Restaurant serves classic Greek and Mediterranean cuisine — the cuisine is more of a progressive-contemporary style. It further houses a Pool Bar that serves a wide range of collection including wine, beer, cocktails, mocktails, liquor and healthy drinks. And on your request, the chefs can present delectable items on your private balcony — room service is also available round the clock. Besides the huge heated outdoor pool, Astra Suites houses a luxurious spa that offers a long list of beauty and relaxing treatments and therapies — loungers and parasols are complimentary amenities. There is a steam room and a Jacuzzi, but in case you want to go explore the area, cars and bikes are available for rent — boating, sailing and land/sea excursion can also be organized for you. 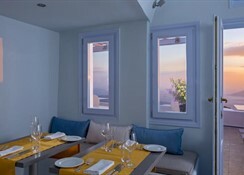 Located in Santorini, Greece, Astra Suites Hotel is perched on the volcanic cliffs of Imerovigli. 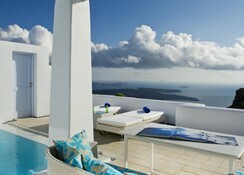 The picturesque panoramic views of the sea and the mountains from the hotel are simply mesmerising. The hotel is away from all city commotion and offers a serene ambiance. The bus stop is about 800 metres away, but there is a beautiful market area just 200 metres from the hotel. The beach is around 3000 metres, but do not forget to visit Fira and Oia Towns that are located 2000 metres and 9000 metres from the hotel premises. The hotel can be accessed from two airports, Santorini Airport (Monolithos) that is located 8 km away and Santorini Port (Athinios) that is around 10 km from the hotel. *** Spa is open between 9 A.M. and 9 P.M. (last appointment at 8 P.M.). *** WiFi internet is free for guests.